Opticians are in high demand in the job market, and the need for eye care professionals is constantly expanding. In this online program, you’ll gain the skills and knowledge you need to obtain an entry-level job as an optician while you prepare yourself to achieve American Board of Opticianry (ABO) certification —a certification that’s required by many states and is a stepping stone to career advancement. You will master the mathematical formulas that opticians need to know, discover how to read prescriptions for glasses and contact lenses, explore the basics of eyewear styles and materials, become familiar with the equipment opticians use, learn about prisms and lens types, and gain an understanding of eye anatomy and eye diseases. By the time you complete this program, you’ll be fully prepared to begin a career as an optician—and you’ll have the skills and knowledge you need to advance in this popular and exciting medical field. Opticians are in high demand in the job market, and the need for eye care professionals is constantly expanding. Better yet, the field of opticianry is full of opportunities—from working as a frame stylist in a retail setting to teaching or working in a medical clinic. This course will help you gain the skills and knowledge to obtain an entry-level job as an optician. With the help of step-by-step instructions, you’ll master the mathematical formulas that opticians need to know. In addition, you’ll discover how to read prescriptions for glasses and contact lenses, explore the basics of eyewear styles and materials, become familiar with the equipment opticians use, learn about prisms and lens types, and gain an understanding of eye anatomy and eye diseases. By the time you complete this program, you’ll be fully prepared to begin a career as an optician—and you’ll have the skills and knowledge you need to advance in this popular and exciting medical field. After successfully completing this course, you will possess the knowledge required to pass the American Board of Opticianry (ABO) exam. However, we do recommend researching your state’s requirements prior to pursuing a career as an optician. 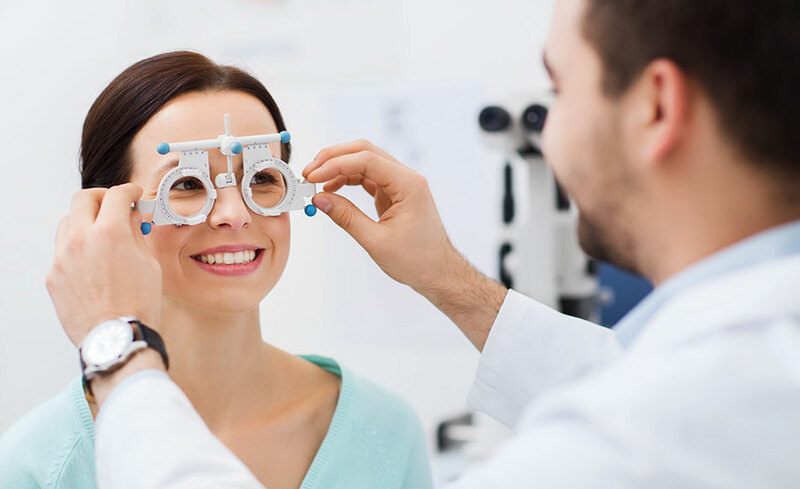 While some states only require a high school diploma or GED and passing score on the ABO exam to fulfill licensing requirements, others have their own optician licensing exams. Additionally, some states may require that opticians complete an apprenticeship program or degree program in order to become licensed. Lesson 1: What Is an Optician? This program can be taken on a PC or a Mac. The program is compatible with Windows 7, Windows 10, Windows Vista, Windows XP, and Windows 2000. It is also compatible with Internet Explorer (versions 5.5 through 8) and Firefox (any version). There is no prerequisite for taking this program. However a high school diploma or GED is required to take the ABO exam. They were all friendly individuals who really care about me, the student.